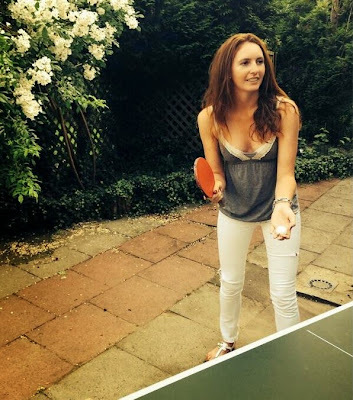 We're not sure how good Florentyna Parker is at ping pong. But she's pretty good at golf! Parker is your winner at the 2014 Italian Ladies Open on the LET. She shot 68 in the final round and edge Holly Clyburn by one shot. Parker's best finish prior to Italy on the 2014 LET schedule was a tie for 20th. Her rookie season on the LET was 2009, and Flory has been a consistent performer ever since. She had two Top 10s as a rookie and earned her first LET victory in 2010 at the ABN AMRO Ladies Open. She finished 11th on the money list that season, and was 28th in 2011, 15th in 2012 and 35th last season. No doubt Parker will be improving on 35th in 2014.